Bodegas Robles was established in 1927 in the Montilla region of Spain by the Robles family. It has a long tradition of producing wines that are virtually free of chemical residues. 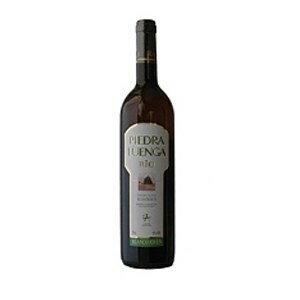 Adding to the strength of that tradition and their commitment to the environment, they have released the Piedra Luenga range which is fully certified organic. 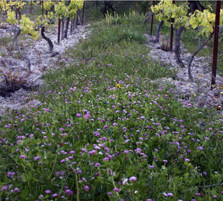 The winery is the first in it’s region to be a certified organic wine vineyard. “Over 75 years ago my grandfather, Antonio José, started coming to Montilla Moriles in search of the best wine grapes he could find. Together with his wife Pilar, he became intimately familiar with the excellent vineyards “la Toledana”, “el Canillo”, “Cabriñana” and “Cañada del Navarro”, located in Sierra de Montilla, one of our best production areas. They founded Bodegas Robles in 1927 and my family has since produced wine archieving many prestigious prizes and increasingly worldwide recognitizion. Without the vision of Antonio José and Pilar, the quality that Bodegas Robles has since archived would not have been possible. Of course, it takes more than great grapes to make great wines. 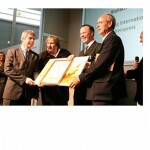 You need a great winery and that´s where my father, Francisco Robles, has been so important. He introduced the current presses system and imported the American oak botas (butts). 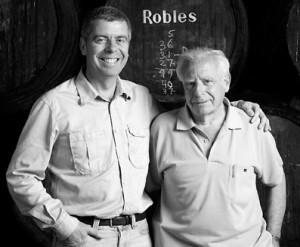 In fact, Dad helped to make fine winemaking at Bodegas Robles what it is today, a place where artisan techniques work hand in hand with state-of-the-art technology. With so much of Montilla and winemaking in our blood, it seems only natural that my brother Francis, my sister Marisa and I would keep working, developing and making wine nowadays. Our parents and grandparents have taught us to respect our traditions and environment as the starting point to build our own future. Today, this principle guides every aspect of our winemaking at Bodegas Robles.Our commitment with the environment is further strength every day and, though we have a tradition of wines that are virtually free of chemical residues and our vineyards have long been close to organic, we launch PIEDRA LUENGA in 1999, our first range of certified organic wine. This is also the first and only certified organic wine of Andalusia submitted to a Denomination of Origin. We have also been the first winery in the world to develop, after a eight-year research, CUMBIA, fermenting Pedro Ximénez grapes and tropical fruits all together by natural means. The pucblic of many countries already largely recognizes the outcome. However, we are not the only third generation family members at the winery today. My cousin, Vicente, is an assistant winemaker and there are many others, each contributing in a big way to the Bodegas Robles story. For all these reasons, Bodegas Robles is not just a wonderful place to work – it is home”. Since 1927, the year in which the Spanish wineries, Bodegas Robles took in its first grape harvest and produced 8.600 litres of wine and nowadays in wich the Spanish wineries, Bodegas Robles owns a processing factory capable of processing 300.000 kilogrammes of grapes daily (about 210.000 litres/day) and a complete guide of Spanish wines, the Robles family has always been up-to-date, employing the latest techniques in the production of their Spanish wines. The proof of this are the lot of Prizes and awards given to all their Spanish wineries and wines over the years, Prizes which motivate and inspire the work force to continue applying the latest techniques in the production process in our wineries: fermentation, maturing and bottling, to obtain the highest quality of wines in Spain. This one is our guide of Spanish wines.